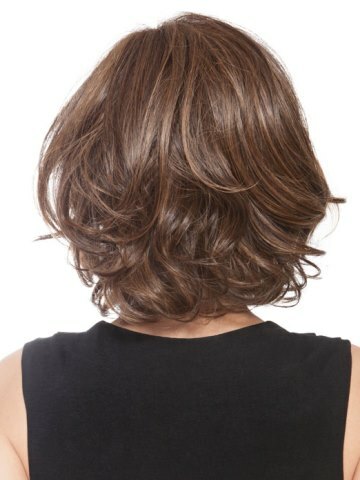 Crowd Pleaser is a gorgeous, stylish mid-length cut with light waves. It has soft side swept bangs and long, subtle layers throughout. This wig features a Sheer Indulgence lace front that creates a natural looking hairline and offers off-the-face styling. The monofilament part creates the appearance of natural hair growth. The Memory Cap II provides a custom-like, comfort fit. It also features velvet ear tabs and a velvet nape. And the ready-to-wear Tru2Life heat-friendly synthetic hair allows you to style with heat tools, and looks and feels like natural hair. Front: 6.5" Crown: 10" Sides: 7" Back: 6.5" Nape 4.25"